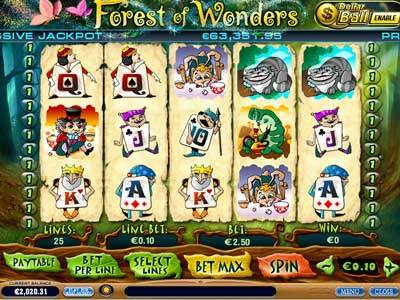 The object of Forest of Wonders is to obtain a winning symbol combination by spinning the reels. Enchanted forest awaits you as you hunt for magic mushrooms. 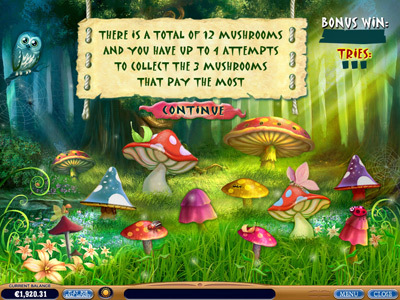 Get the bonus symbols and attempt to pick the highest prized mushrooms for a bonus win. There is also a free spin bonus available when you get 3 or more scatter symbols.